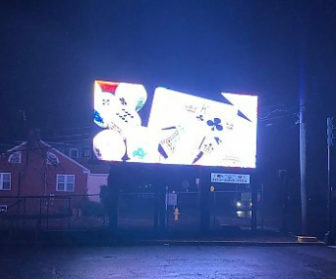 Spurred by public opposition to a blinding, blinking billboard on New Haven’s Whalley Avenue, state legislators voted overwhelmingly in favor of a bill that would allow cities and towns to regulate the illumination of public advertisements, so long as those signs have the technological ability to calibrate their own brightness. That was the result of a Wednesday afternoon debate on the floor of the Connecticut General Assembly in Hartford. House Bill 5515, which would empower local zoning commissions throughout the state to regulate the brightness and illumination of advertising signs and billboards, passed with a vote of 129 in favor, 18 against, and 3 not voting. 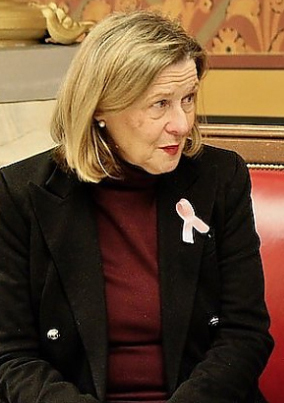 The House bill passed only after New Haven Democratic Rep. Pat Dillon, the sponsor, helped lead the drafting and inclusion of a clarifying amendment that exempts signs that do not have the technological capability for their owners to adjust the signs’ brightness. The bill had been “temporarily passed” by a procedural motion in the General Assembly earlier in the day after Republican critics grilled Dillon and Bridgeport Democrat Steven Stafstrom about its potential negative impact on existing properties and future business in the state. Dillon took the lead in drafting and sponsoring the bill after Westville residents were taken aback by the sudden appearance of a 230-square-foot, double-sided electronic billboard put up in BD Food Market and Deli’s parking lot at 1057 Whalley Ave., at the intersection of Whalley Avenue and Emerson Street. The billboard, which is owned and operated by the Southington-based company Advertex, LLC, was put up as of right: that is, within the current guidelines of state and city law. While investigating how best to prevent the future construction of similar electronic billboards, Dillon and city legislators advocated for HB 5515, which would allow local zoning commissions to regulate such signs’ brightness and illumination, in addition to their height, size and location. During Wednesday’s General Assembly debate, Stafstrom, who represents Bridgeport, took questions from critical Republicans about how this legislation might affect existing billboards, if at all. “This is merely an enabling statute that would allow the local municipality to adopt local ordinances that may be appropriate for that town regarding the brightness of a billboard,” Stafstrom responded. He said that the bill is only designed to let local cities and towns pass their own laws regarding brightness and illumination; it is not imposing any particular standards on them. He said that this bill does not specifically target any existing billboards, like the BD Market one. However, he said, if an existing billboard would be out of compliance with local legislation, then the billboard’s owners would likely have to work with the town legislators to get their property grandfathered in. He said that he was concerned that the proposed legislation’s verbiage of “brightness and illumination” was too vague, and may inadvertently affect not just the form, but the content of an advertisement. Dillon said that, although some towns and cities have already passed local legislation regulating the brightness and illumination of ads and billboards, this new bill will provide legal protection for those existing laws and will allow more cities and towns, like New Haven, to embark on their own legislation. The amended bill now passes along to the state Senate for a vote before it can be adopted as state law. This story first appeared May 3, 2018, in the New Haven Independent.